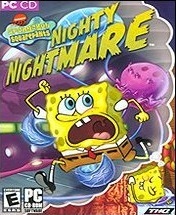 Plot: SpongeBob Squarepants Nighty Nightmare takes you into mind of SpongeBob and his friends! Have you ever wondered what Bikini Bottom's most famous residents dream of late at night? Take a strange journey into the minds of SpongeBob, Patrick and Plankton and live their nightmares and fantasies! There's no telling what you'll encounter in this dreamy underwater adventure.